Max internal ground floor measurements; 16.4m x 9.7m = 159 sq m (1712 sq ft) overall. 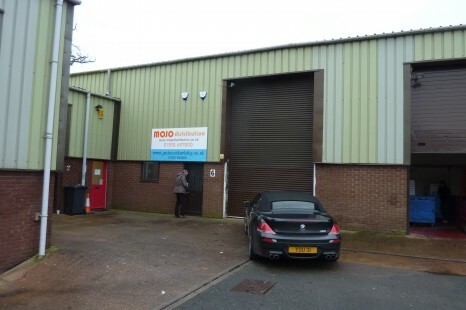 This area includes an internal office of 13.7 sq m. Net warehouse space is 145 sq m (1560 sq ft). There is a washroom/WC. A mezzanine 1st floor is sub-divided, giving an additional area of 12.8m x 4.8m = 61.4 sq m (660 sq ft) This is currently partitioned to give an office area, fitted suspended ceiling with recessed lighting and a small goods inward space accessible by use of a fork lift from the warehouse below. The remaining part of the first floor is retained by the Landlord for archive storage. Only the Landlord has access to this space and its use will not compromise the Tenants use of the space described. A new lease of negotiable term, rental of £9,950 per annum exclusive.